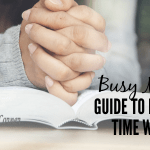 Many times the daily duties of life as a mom and homeschooling parent, can seem like drudgery. 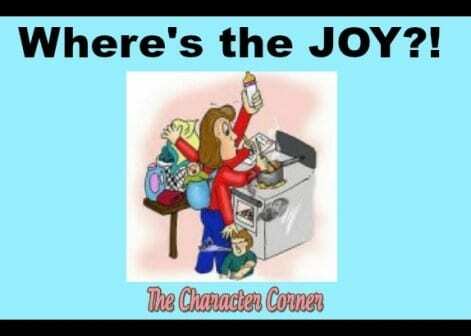 You may ask where’s the joy in the never ending cleaning, cooking, training, laundry, etc. A common thing young parents hear is “Oh, enjoy these days. They go by SO fast!” I agree that we ought to enjoy them. However, sometimes it’s more a matter of just surviving them. 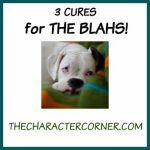 It can be tough! 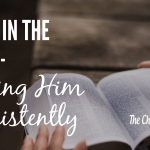 I think the KEY to keeping our joy in the midst of the chaotic lives we lead as homeschooling parents, is to “do ALL to the glory of God.“ It’s so easy to feel like we aren’t doing anything of importance or value, but any time we serve our family, we are serving God. What we do for our families is of eternal value. I love this quote from the book The Practice of the Presence of God. This was written by Brother Lawrence, a monk who cleaned and cooked for the other monks in the monastery. He did everything from peeling potatoes to scrubbing dirty pots, with a heart that was full of the love of God. 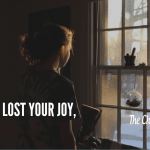 Are you a joyful mother? Next time you are doing the laundry, changing a diaper, washing dishes, or scrubbing floors, remember that God is near to you. Do the menial daily tasks with a heart of love for Him. 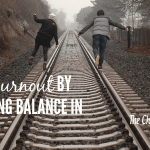 It will change your attitude as you serve your family, and it will restore your joy. Our pastor’s wife wrote the following little chorus, that sums up this whole idea very well! “There is joy in serving others when I do it all for you. As I drive or wash the dishes I am serving Jesus too. Remember, every thing you do as you raise your family and care for your home and husband, is a SACRED service to God! Be encouraged in His joy as you serve. What a great reminder to every home-maker!!! I live at home, but with 11 other people living under the same roof there is a lot of chores to do. They are delegated, but still, the joy is easily evaporated when I forget Who I am doing this for. Thanks Haley! I can imagine there is always work to be done with 11 people in the home. I’m glad you are able to realize that joy comes when you do it all for the Lord. What a great opportunity you have to serve Him, as you help in your home and family.